There are certain dresses that just have the ability to make you feel 10x more ladylike. 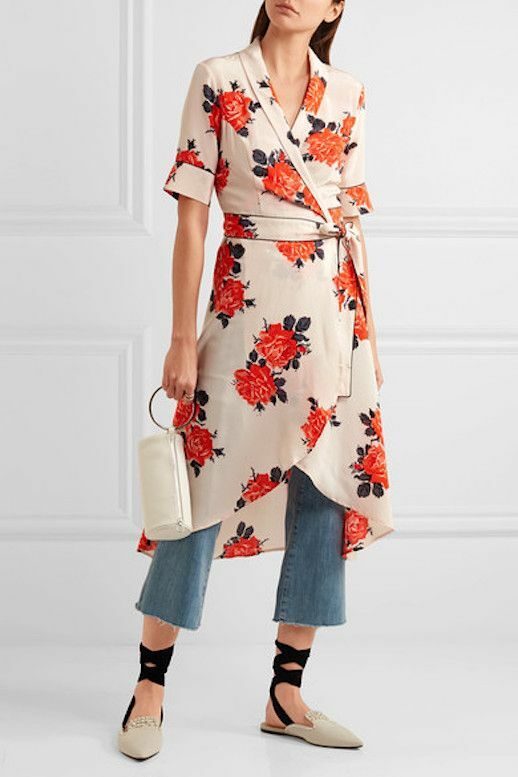 Feminine prints combined with the ever-womanly wrap dress style makes for a romantic, pretty feel. This gorgeous dress can be worn by itself or over a pair of cropped jeans. Throw on some embellished wrap-ankle slippers and you're golden.